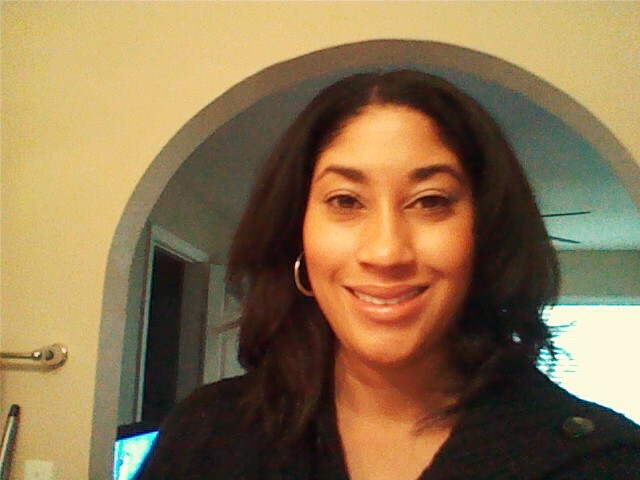 So I actually got the Instyler a while ago but never posted my review, so here it goes. For those of you that haven’t seen the Instyler infomercial yet, the instyler is a rotating ceramic iron that smooths hair against a brush. After watching the infomercial several times I was intrigued by the idea. I ordered a pink one from QVC for around $97.80. 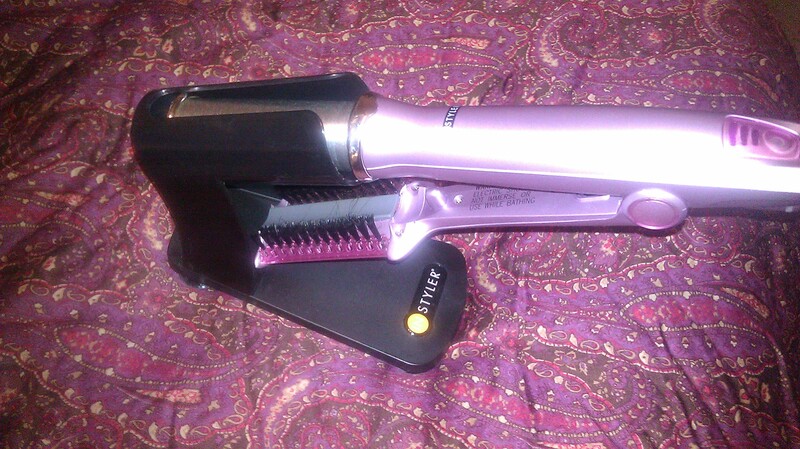 The iron gets to 410 degrees and is supposed to make straightening hair easier and faster. It is also supposed to create curls and flipped hairstyles. 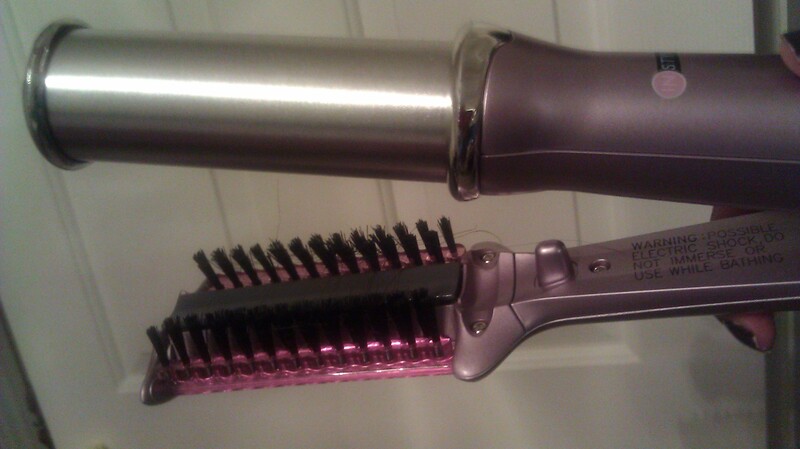 It takes a couple of times to get the hang of styling hair with this iron. My hair is pretty thick so I had to take small pieces and go through each section slowly. It got my hair straight but not as straight as I like it. The iron only rotates one way so it takes a little practice to use it with the hand that’s not dominant, in my case my left. You also have to make sure each piece of hair is tangle free before running it through the iron or it would be easy to get it snarled in the brush. After about a month I also noticed little silver flakes in my hair after usage. I guess the metal from the iron is chipping away a bit, I would have returned it but it was already after the 30 day time period. These iron heats up pretty quickly and comes with an instructional DVD, a nice holder and a carrying case for travel. I personally think the Instyler is better suited for people with fine hair. If your hair is really thick or coarse , you can do better. I don’t think this iron is worth the money,you could get a flat iron that provides better results and that’s easier to use for $100.00, but if you really want to try the Instyler out DO NOT order it from Instyler.com. I’ve heard one too many horror stories. They reel people in by saying you can try it out for $14.99 for 30 days and then after that they bill you for like $39.99 for three months. And if you want to return it, you have to pay a restocking fee!!! If you don’t believe me just do a Google search and you will see a long thread of customer complaints. I recommend ordering it from QVC or buying it from a reputable store where you know the return policy and there won’t be any hidden fees. Have you used the Instyler? If so, what do you think? Below are pictures of the Instyler and my hair after I used it. Previous Post Ombre Highlights Yay or Nay? the instyler completely ruined my hair. its suppose to be safe. the heat isnt suppose to harm your hair . its suppose to make your hair soft and manageable. NOT. im in the begenning stages of a lawsuit against the instyler and i promise you i am gonna win! What did it do to your hair exactly? I’ve actually been meaning to do a follow-up post. Now that I’ve been using it for a while, I’ve definitely gotten better at using the Instyler and have had good results. I still don’t like the metal particles that chip off in my hair though.